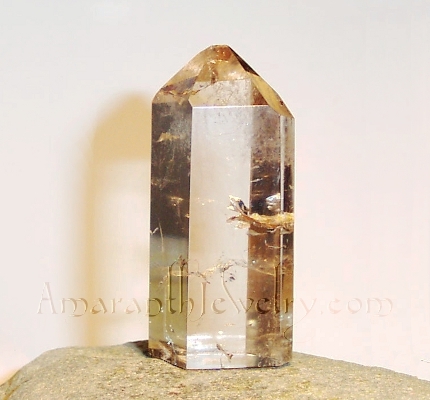 Smoky Quartz with Cacoxenite, Minas Gerais, Brazil, 2 1/4" x 1 3/8"
Light Smoky Quartz point from Minas Gerais, Brazil. Crystal clear with veils near top. Cacoxenite inclusion in the middle. 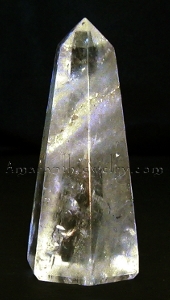 Internal horizontal facture which suggests a master self-healed crystal. Wide tabular formation, with broad sides almost an inch apart. Metric size: 8.0cm x 3.6cm. Weight: 122 grams. Please click on picture for close-up. N.B. - Please note actual size in description. 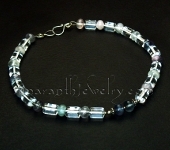 Have you seen some of my other Quartz or Quartz jewelry? Self-healed crystals are believed to both help healing on all levels and teach us how to use our life experiences to grow and move forward. 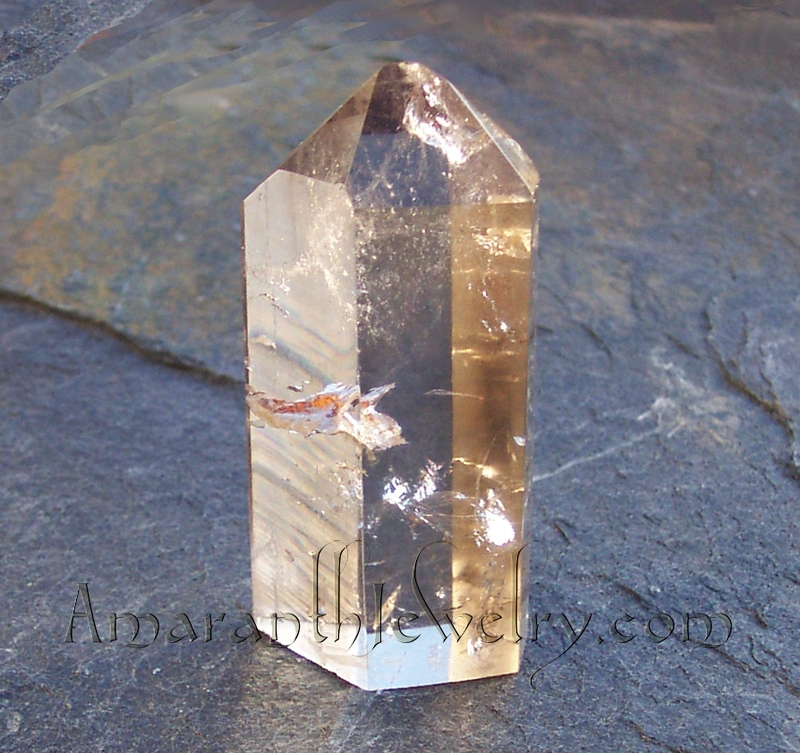 Cacoxenite (pronounced "kah-kok'se-nite" or "kah-koh-she-nite") is one of the seven minerals in what crystal healers call "The Super Seven" or "Melody Stone" (the other six being Clear Quartz, Smoky Quartz, Amethyst, Lepidocrosite, Goethite, Rutile).